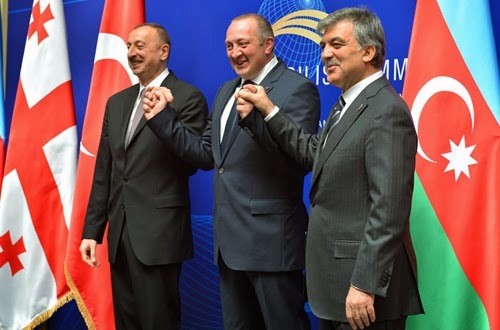 The focus of the summit, according to the officials, was joint energy and transportation projects, among them Baku-Tbilisi-Kars railway, which is currently under construction and which will connect Azerbaijan with Turkey via Georgia. According to Georgian Economy Minister, Giorgi Kvirikashvili, the railway is expected to be put into operation before the end of 2015. Azerbaijan sentenced eight opposition youth activists on Tuesday to between six and eight years in prison in a case that critics say highlights a government-led crackdown on dissent in the oil-rich former Soviet republic. 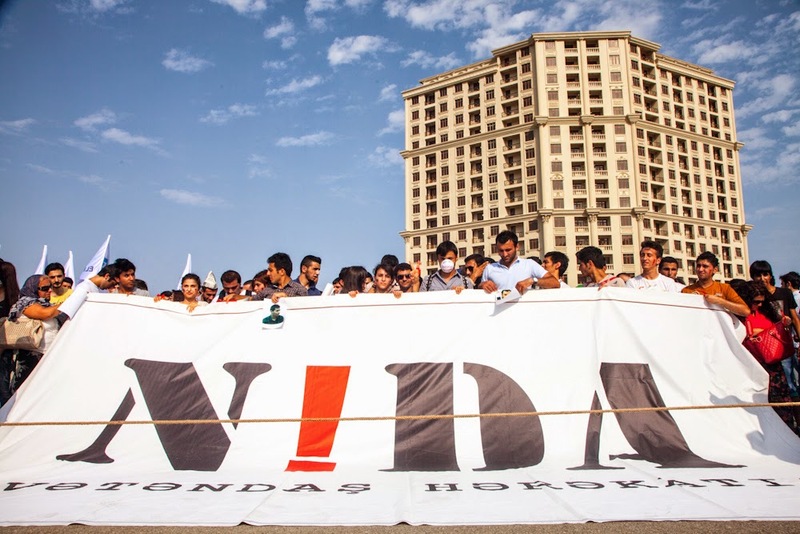 Eight activists of NIDA, an Azeri non-government youth movement, were jailed after being convicted on charges of hooliganism, possessing drugs and explosives as well as intent to cause public disorder. All eight, aged between 18 and 28, were arrested in March 2013 during protests in the capital Baku against violence within the armed forces prompted by the death of conscript Jeyhun Gubadov at a barracks - the latest in a string of non-combat deaths under murky circumstances in the military. The United States should hold Azerbaijan accountable for its human rights record, even as the energy-rich country has come into renewed focus as a potential key player in weaning Europe off of Russian gas in the wake of the Ukraine crisis, U.S. officials say. “I feel strongly that as we work closely with Azerbaijan on energy issues, we must also engage them just as forcefully on the declining human rights situation as part of our overall concern for energy security in the region,” U.S. Senator Ben Cardin, a Maryland Democrat, said in a statement to RFE/RL. Georgia’s Defense Minister, Irakli Alasania, said in Washington on April 30 that in response to Russia’s actions in Ukraine, NATO allies should deploy “defensive assets” in Georgia. Air defense and anti-armor capabilities – “this is something we need to put in Georgia and Russians will understand that you are serious,” Alasania told the Washington-based think-tank Atlantic Council’s “Toward a Europe Whole and Free” conference on April 30. It would be my advice to ask the EU and U.S. about their plans if Georgia’s government doesn’t do what they expect, Russia’s Foreign Minister Sergey Lavrov said in Vienna, responding to the question from the broadcasting company “Imedi”, ‘ whether Russia-Georgia relations may tense, after Georgia signs the association agreement with EU. Lavrov says that addressees of this question are not Russia. “We are not busy with changing the regimes, arranging colored revolutions, especially with brown spots, like it happened in Ukraine”, Russia’s Foreign Minister said. 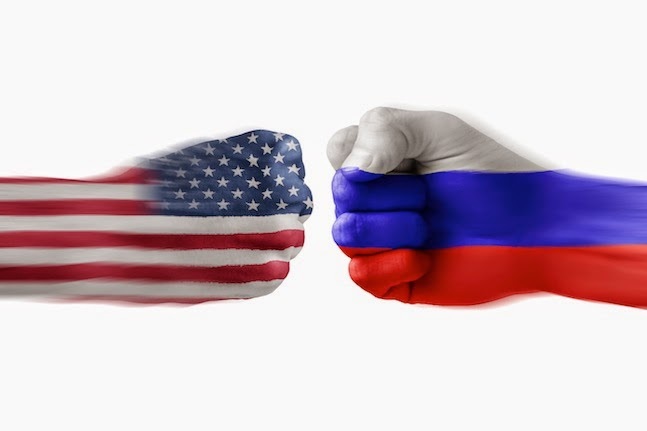 Most experts believe that the West, which would like to see a decrease in Russian influence in the region, will incite opposition in Kazakhstan and Kyrgyzstan to act. In Kyrgyzstan this process is already observable – Western-grant-funded non-governmental organizations are conducting counter-propaganda against the idea of pro-Russian integrative union. In connection with events in Ukraine, the West will do everything it can to strengthen this vector. A number of experts are noting that Kazakhstan's President Nursultan Nazarbayev was not present at tonight's emergency meeting of the Collective Security Treaty Organization (CSTO) in Moscow, nor did he send representatives to the massive display of Russian armed forces, including the simulation of an ICBM launch on the eve of 9 May Victory Day celebrations. Instead, he met with Deputy Secretary of State William Burns, the second-highest ranking American diplomat and the Obama Administrator's top expert on Russia. The CIA also plans this summer to stop paying the salaries of Afghan paramilitary forces that it has armed and trained for more than a decade to help fight the Taliban-led insurgency in the country's east, near the Pakistani border. It is unclear what will happen to the militias. Pentagon officials also are exploring whether the military can take over financial support of the CIA-backed militias to keep the Afghans from leaving the fight or switching sides, officials said. Some of the frontline units already have been disbanded, according to a report in the Daily Beast. Chinese police shot and wounded a suspect who attacked passengers at a busy railway station in southern China on Tuesday, leaving six people injured in the third high-profile assault on civilians at a train station in a little more than two months. 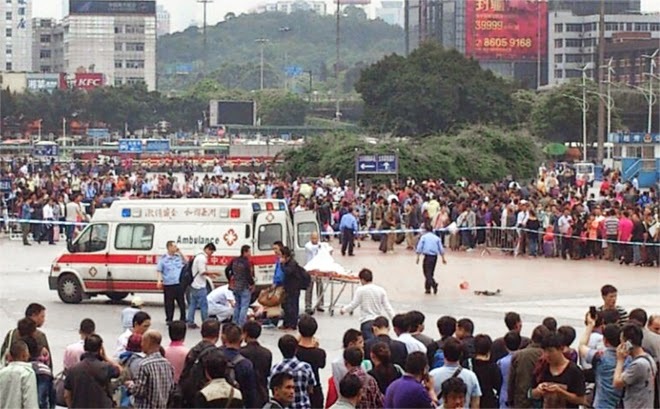 The latest incident happened late in the morning at the Guangzhou Railway Station, city police said on their microblog. Officers arrived as passengers were being hacked, and shot and subdued a male suspect with a knife after he failed to respond to a police warning, the statement said. Police shot dead one assialant and captured another on Thursday in northwest China's Xinjiang Uygur Autonomous Region, local authorities said in a statement. The attack occurred at about 1:20 p.m. in the city of Aksu when police checked a suspect vehicle based on a tipoff from residents, said the statement. Five people were recently sentenced to up to 15 years in prison for separatism and endangering national security, Xinjiang Daily on Thursday. The trial of the five was jointly carried out by the municipal and prefectural people's courts in Kashgar. A gallery of more than 300 people, including local cadres and students, witnessed the trial. The five were convicted in five separate cases of using secure digital memory cards with content from the East Turkistan Islamic Movement; using audiovisual materials downloaded from the Internet to spread jihadist ideas; instigating terrorism attacks in Afghanistan and Pakistan; preaching extremist religious ideas to young people; and keeping machetes and other weapons for planned attacks. The prison sentences ranged from 7 to 15 years.